I am not sure whether this community or the tex.sx is the most appropriate for my question. I have an assignement where I am given a boolean expression and I have to implement these expressions using a predifined list of Integrated circuits. For example: \$ f= xy + z\$ and I have a 4071 OR IC as well as a 4081 AND IC at my disposal. When drawing \$f\$ as a circuit diagram, I want to use the IC pinout configuration diagrams (like the ones on the image below) and show all the external connections from each pin. That way, I am confident that my approach is clear. The problem is that I don't know which software allows to draw circuits along with IC pinout configuration diagrams. Or, is there a latex package somewhere that can deal with this? 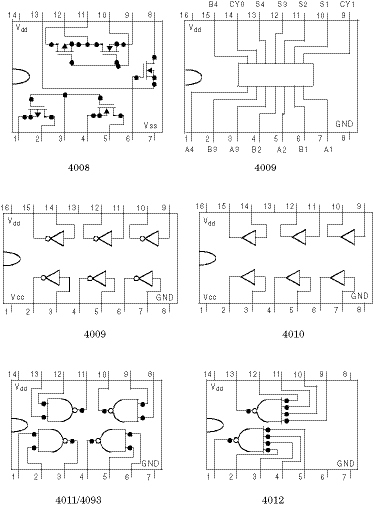 I will mostly use the 4000 CMOS series so I only need that range of diagrams. I would advise you not to use the IC pin layouts as drawn above for use in your schematics. Using them means that you have to draw the wires such that it will fit the IC layout. That means more wires and more wires crossing eachother. That will not help in understanding how the circuit works which is the main purpose of a schematic. Note how there is a number printed at each pin of a symbol which represents a circuit in an IC, that number is the pin number. If there's some empty space left you could consider adding the pinouts separately so not connected to the main schematic but purely as a drawing. There's CircuiTikZ, which does give beautifully rendered outputs. But, it's not exactly intuitive to use - I've spent a long time trying to draw even simple circuits with it. Unfortunately, there's no stand out package for schematic drawing. Draw the gates as you need them, and then see if you can group them into ICs at that end. Your approach of having them arranged around actual IC layouts isn't particularly scalable, and it will become unclear with even a small amount of complexity. Not the answer you're looking for? Browse other questions tagged digital-logic integrated-circuit software or ask your own question. Draw circuit diagrams with custom shapes? 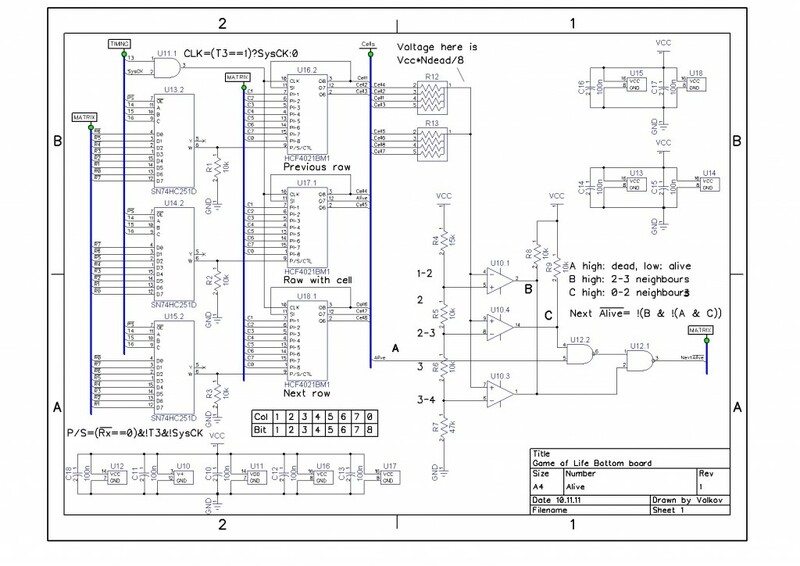 What software was used for these schematic diagrams?